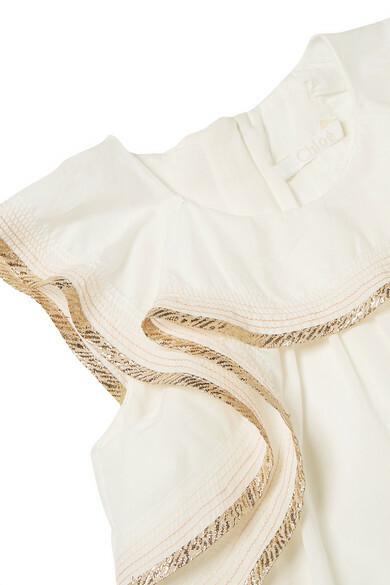 Chloé Kids' dress is a great option for vacations - it's made from lightweight cotton and cut for a loose, breezy fit, so it will feel comfortable against your little one's skin in warm weather. 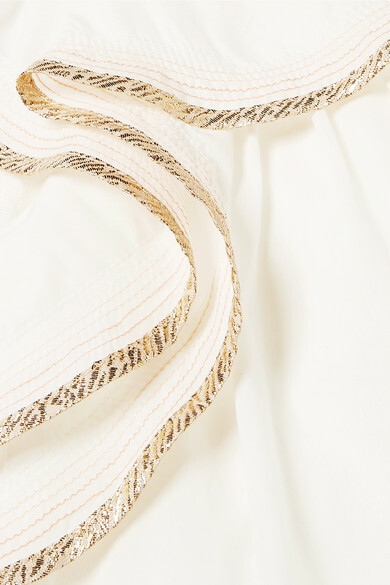 It's trimmed with shimmering gold ribbon along the ruffled neckline, which you could match to a glittery hairclip. 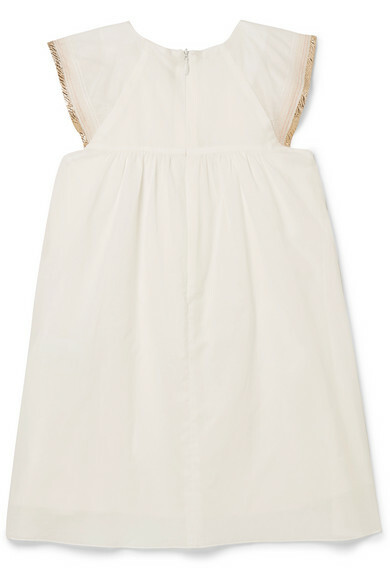 Shown here with: Chloé Kids Jacket, Chloé Kids Sandals.